Regardless of whether or not you are looking for a brand-new wireless router to set up a new home network or if you’re looking to upgrade an existing network, this piece of hardware is ALWAYS the backbone of your wireless set up – which is exactly why you need to be 100% satisfied you’ve invested in the right piece of technology. Sure, you can always go with the router provided to you by your ISP, but you will almost always be shackling your net connection to a cannonball and causing it to go a lot slower – and a lot less reliable – because of it. 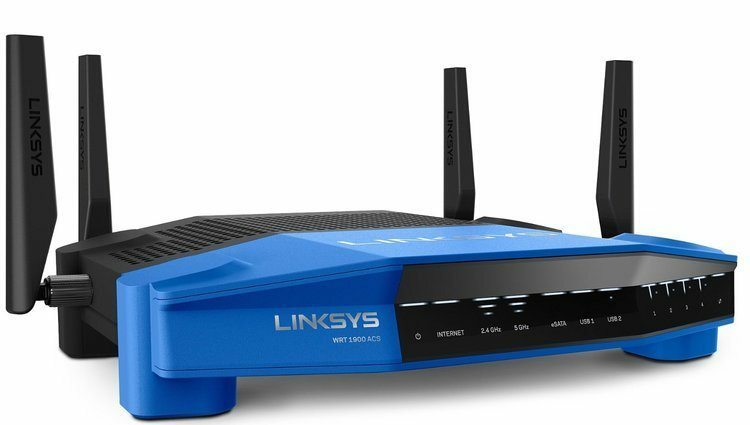 Now, if you want to take the chains off your high-speed Internet connection, push only the fastest connection to each and every one of your wireless devices, and guarantee that every one of your online devices are safe, secure, and protected from attacks you’re going to want to consider investing in some of the best wireless routers we have highlighted for you below. The options that we take a little bit deeper into in this quick guide will give you all of the modern features you need from a new router while at the same time providing you with plenty of speed, plenty of connectivity, and built-in security features that protect you in our ever increasingly connected world. These are the very best of the best when it comes to wireless routers, and you’d have to be at least a little bit crazy to go with anything else. But before we get into the meat and potatoes of these best wireless VPN router reviews, it’s vital that we highlight some of the essential features that they bring to the table and why you’ll want to look for as many of them as possible in your next router purchase. What is a NAS (Network Attached Storage) and why would you connect to a home router? Although most Wireless Gateways includes stock firmware with OpenVPN or PPTP client for easy VPN setup. We recommend either installing an open source firmware such as DD-WRT or Tomato. These are two of the best third-party firmware projects designed to replace the router manufacturer’s firmware with custom firmware adding software features and functionality. DD-WRT is based on Linux OS and can be installed on most home routers or wireless access points. Originally released in 2005 for the popular Linksys WRT54G gateways, it’s founder and dev team added support for a variety of brands and models. Tomato is a Linux firmware distro which is compatible with a range of Broadcom chipset based wireless gateways. most notably the older Linksys WRT54G series, Asus routers and Netgear WNR3500L. Among other notable features is the user interface, which makes heavy use of Ajax as well as an SVG-based graphical bandwidth monitor. If you would rather buy a pre configured VPN gateway with software ready to connect to your preferred VPN Service, a great solution is the Sabai OS. It’s very similar to DD-WRT and Tomato, except the router is pre flashed with 3rd party firmware delivered with your choice of Sabai OS supported Gateways. Currently, Sabai offers five router platforms, across a range of price levels. Another handy feature is the 1-year customer support for all gateways. This package is called Sabai Freedom and includes online chat, phone, and email support. Overall Sabai offers a really nice platform. If you need to upgrade your current gateway, or just don’t want the hassle of setting up DD-WRT firmware. Check out the Sabai offerings. As digital files get larger (a single digital copy of a Blu-ray quality film can run 30 GB or larger these days, with digital versions of AAA video games coming in the even larger than that) the need for storage is incredibly important – but you’re going to want to make sure that your files are accessible from ALL of your Internet-connected devices, and that’s where and NAS comes in. Essentially a miniature server that allows you to network hard drives into your router and broadcast all of those files to any of the connected devices you have online, a NAS is an absolute must-have for those that want to be ready for the digital world today. A step up from the N600 version routers, these units are capable of supporting three 150 Mbps spatial streams during wireless broadcasting. It doesn’t get all out faster than that (at least not right now, anyway)! 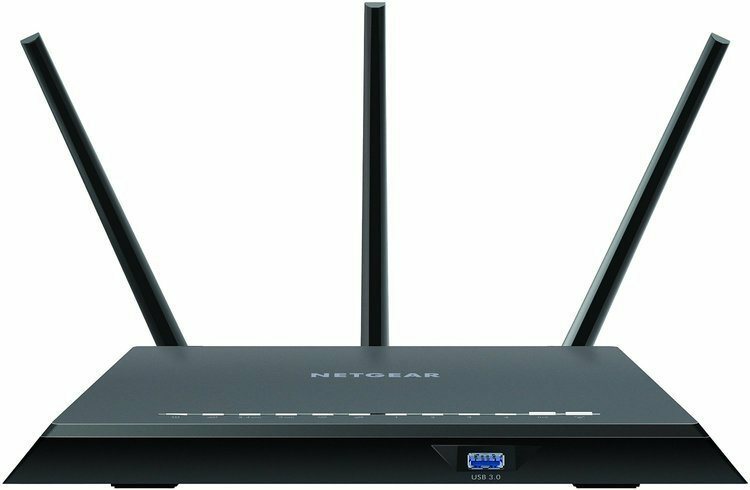 Now let’s dive right into the very best wireless routers available on the market today so that you’re able to sift through the different options available and end up with units that you will be overjoyed to own. This is one of the fastest wireless routers money can buy right now, as well as one of the easiest to set up. Designed to be lightning fast (taking advantage of true dual-band technology to transmit at speeds 80% faster than more traditional wireless routers). You’re going to be able to completely overhaul your home wireless network when you decide to move forward with this gigabit router. 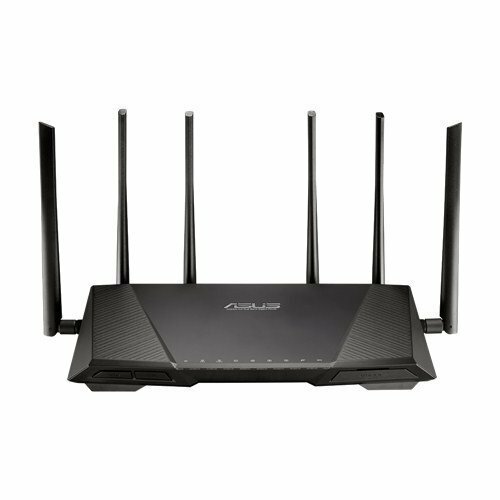 For years and years now the folks at ASUS have been responsible for designing incredibly advanced pieces of networking technology. They pulled out all of the stops when it came time to put this router together. With 1024 QAM technology and the capability to broadcast at a 33% greater range on the 2.4 GHz spectrum, you are going to be able to enjoy blazingly fast speeds at every corner of your home no matter when it was constructed or would kinds of artificial obstacles you have in the way. Combine all of this with the four antennae set up to direct your signal appropriately to maximize the utility of your network. The powerful 1.4 GHz dual-core processor and built-in 8 Gb LAN ports, as well as the Trend Micro complete network security solution cooked into the bios and you’re talking about a router that is head and shoulders above most any other consumer-grade option. 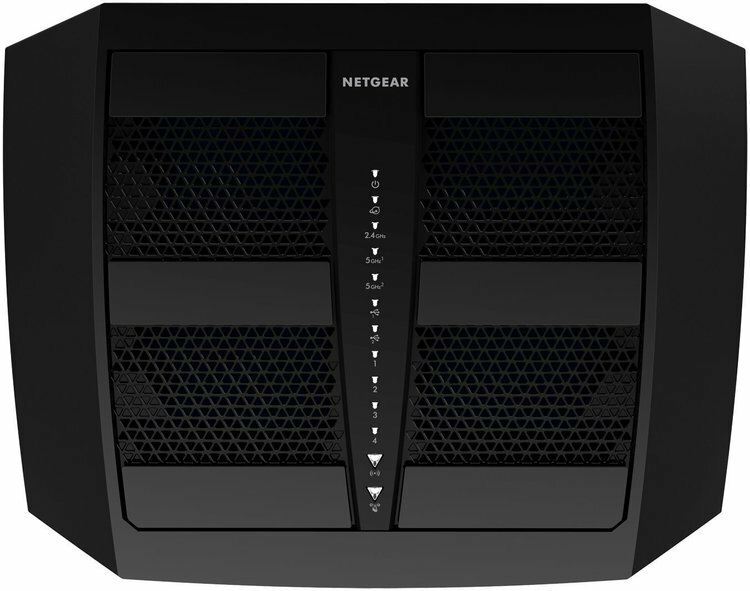 A relatively compact dual-band Wireless router that provides plenty of speed across the 2.4 GHz and 5.0 GHz bands, this Netgear unit is sleek and affordable. There are plenty of affordable wireless routers out there, and there are plenty of powerful and lightning-quick routers out there today. But there aren’t a lot of affordable AND lightning quick routers out there that are worth investing in. This is one of those “unicorn” units, however. For years now, Netgear has been one of the most respected and well-known names in the world of wireless networking. This is one of their premium level routers, producing speeds of up to 1300 Mb per second while offering gigabit connections in the Ethernet ports available. OpenVPN allows you to take advantage of some kind of cool security and accessibility features that not a lot of other inexpensive routers offer. We feel this makes the unit one of the more attractive options money can buy at this price point. One of the Best Performing routers! With its modern looks, tri-band networking capabilities, and blazingly fast speed, this wireless router is a game changer in every sense of the word and as close to a “future proof” router as you’re going to find on the market right now. Streaming 4K HD video, playing multiple online games on multiple devices or console, and streaming music to all of your devices – all at the same time, mind you – is effortless with this tri-band router. You’ll be able to make the most of the 1 GHz dual-core processor that unlocks your speed, and intelligent Quality of Service traffic optimization (hands-free optimization, no less) make sure that your network is cruising along in perfect condition without any overbearing administration necessary. 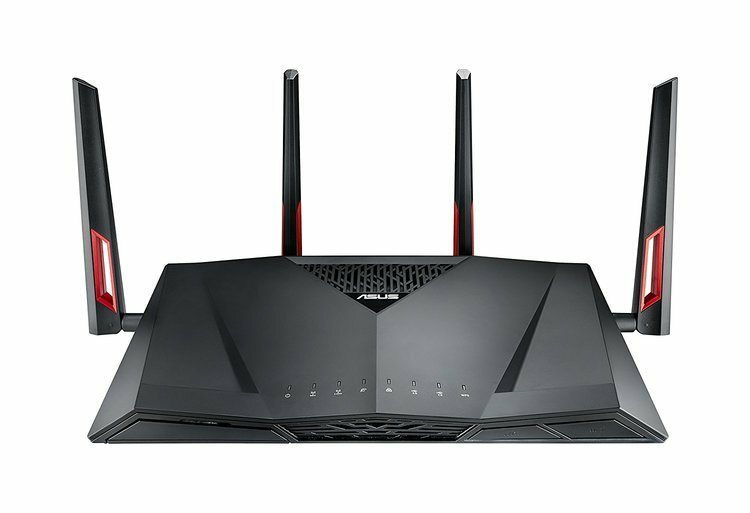 This wireless router has been designed specifically for uninterrupted streaming of 4K HD video and online gaming. With 3.2 Gb per second speed available across this tri-band router and its network. You’re going to be able to stream multiple 4K HD videos (locally as well as those from streaming services like Netflix) AND play multiple online games at the same time without any letdown in quality or network consistency. A built-in USB 3.0 ports in the back of this router offers the ability to turn it into a makeshift NAS. Giving you access to high-speed storage across your network with the built-in NAS and filesharing technology. The Smart Connect feature on this router instantly optimizes your network for you. Trying to figure out which wireless band you should be operating off of with this tri-band wireless gigabit router can be a real headache and hassle. Or at least it would be if this unit didn’t feature the amazing Smart Connect technology baked right in. All you have to do is run the network setup wizard, wait about three minutes, and this router will determine exactly which of the three different wireless frequency bands it offers you should be running your network off. 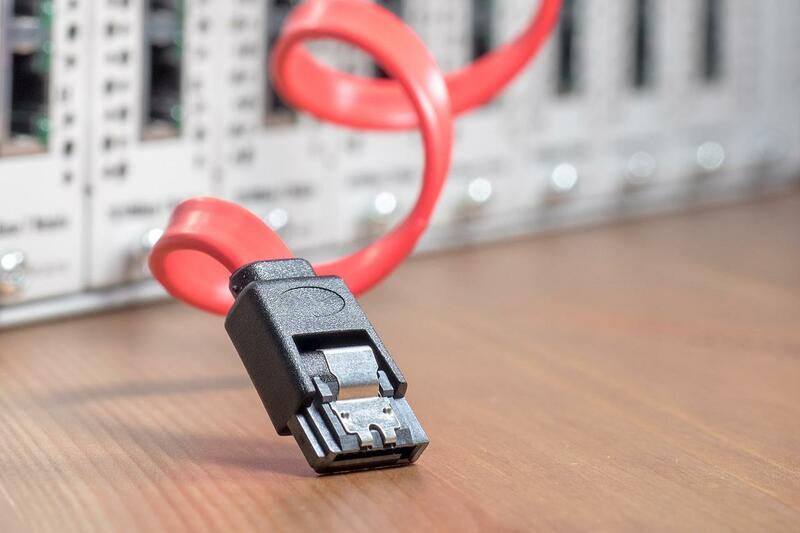 Once that’s taken care of your network will be lightning quick, stable, and incredibly secure. Built-in USB 2.0 and USB 3.0 ports allow you to set up a wireless printing, a quick NAS setup with external USB powered hard drives, and a variety of other extras that just aren’t possible with most other router options available. Don’t let the simple and straightforward looks fool you, this is a quick and snappy router with a focus on performance and security. This wireless router operates on two different bands (2.4 GHz and 5.0 GHz), allowing you to flip and flop from one band to the next as necessary to optimize your network so that you get the most speed and stability possible. Driving this router is an incredibly powerful 1.6 GHz dual-core processor. A CPU that allows for extreme speed data processing that you can play games, enjoy streaming movies and music, and transfer files without any bottlenecks along the way. This is as quick a router as you’re going to find that this price point and all of that is thanks in large part to that 1.6 GHz dual-core processor. Adding network attached storage is a breeze when you hook up your wireless router to a USB powered hard drive via the USB 2.0/USB 3.0 connections available in the back. You can also hook up via eSATA connections if you want Jack and a relatively new solid-state drive for the increased performance available there.